Availability: In Stock., 10 Available. 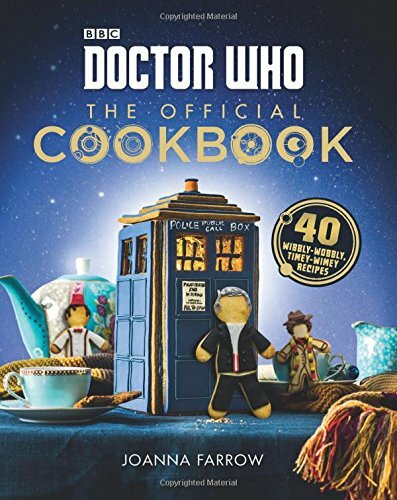 Have your Doctor Who and eat it too with this out-of-this-world cookbook featuring fun, imaginative recipes for the whole family, based on the wildly popular BBC series Doctor Who. The perfect addition to every Doctor Who fan’s shelf, Doctor Who: The Official Cookbook features a cornucopia of delicious, easy-to-make recipes—from the simple, to the showstoppers—with an exciting Whovian twist. Enjoy the Doctor’s own favorite, fish fingers and custard, share some Cyberman Pie with friends, treat the family to Cassandra Pizza, or indulge your sweet tooth with a Supreme Dalek Cake. Throwing a viewing party of your favorite episodes? Serve up some Ood Rolls, Salt and Pepper Sontarans, and Weeping Angel Food Cake. And don’t forget the centerpiece for every Whovian get-together, a Gingerbread TARDIS and, of course, 12 Cookie Doctors. 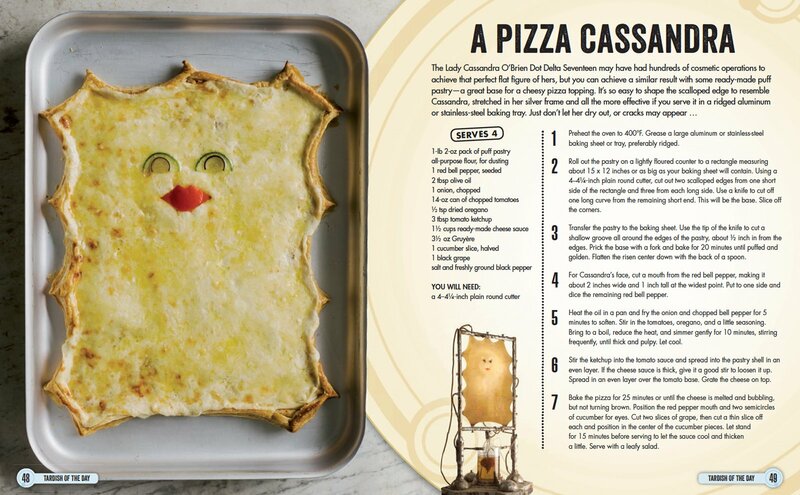 Illustrated with stills from the television show and seasoned with fun food ephemera and quotes from the Doctor’s universe, Doctor Who: The Official Cookbook has something weird, wacky, and tasty for every fan.